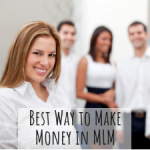 Are you struggling to generate MLM leads for your business? To be successful, you need to get leads and share what you have to offer. Without people to talk to about your business or products, you won’t earn a dime. Isn’t that the truth? Although there are many ways to generate leads, I find some of those methods to be time consuming and not worth it. For example, I was told by my sponsor to talk to people at the mall or grocery store. I did that! Here’s the truth. Those people were not hungry for a change in their life of any sort so the majority of those people I connected with had no interest in my offer. Plus, it took lots of time! That’s one way to generate leads. But are they quality leads? Not really. On the other hand, what if someone was actually LOOKING for your product or wanted to earn more money through a home business? 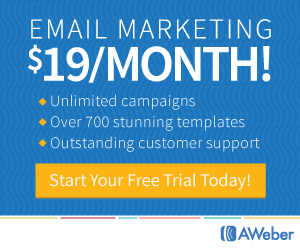 If you generate leads like that, you’ll have a much higher probably of a positive outcome. Do you agree? 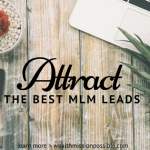 Why Use Attraction Marketing to Generate MLM Leads? Online marketing is more than just throwing a web page up with a bunch of products that people can buy. No. You have to communicate with people through attention grabbing content that provides real value or helps them solve a problem. People who are searching for and wanting what you have can then find your content. Once they take action on your call to action, you will have generated a lead for your MLM business. 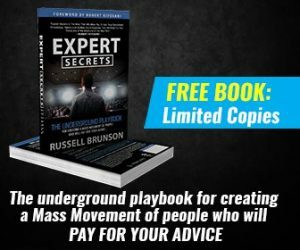 Attraction marketing is really about communicating effectively with people who are looking for something that you have to offer or share. Then you build the relationship over time. For example, I met someone in my neighborhood who likes to run just like I do. She was having trouble figuring out the distance and speed for herself. I gave her information about an app that I use on my phone that tracks all that in real time. See. I helped solve her problem and had no hesitation to do so. So why, in network marketing, do people have a problem sharing their offer with others? I don’t know. 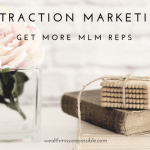 Here are your tips for using attraction marketing to get MLM leads. So many network marketers are constantly pushing their products. For example, I see weight loss product posts in my Facebook feed all the time. Sometimes those network marketers private message me about their latest weight loss product. Now, if they paid one bit of attention to MY Facebook posts, they would know that I lead a healthy lifestyle and don’t NEED to lose weight. Do they care about solving my problem? NO! They just want to sell their product. On the other hand, when I see posts about simple ways to cook a healthy meal for busy people or shake recipes, now you have my attention. Those type of posts are valuable to the reader. I am going to learn something and might even share it or reach out to the author. See the difference? When you give real value to your audience, you will get a much better response! That is part of how to use attraction marketing to get MLM leads. You have a message for the world, don’t you? Be consistent with it. If you have a blog or YouTube channel, post on a regular basis so people see you as a person they can depend on for the information they are seeking. Also be consistent with what you have to say. Be that person that people know, like and trust. When you are a person of value, you can generate leads on a very consistent basis. Instead of bragging about how much you make or how great your company and products are, SHOW PEOPLE! Here’s what I mean. I post about my life on Facebook as well as maintain positivity in all that I do . I enjoy doing what I want on a daily basis, spending time with family, traveling and just having fun! People message me all the time to ask what I do that enables me to live this lifestyle. Well, that’s a great way to generate leads for MLM! See, people can come to you because you will create curiosity. People will be thinking: hmmm, why does she get to have so much fun and I’m stuck at this job. 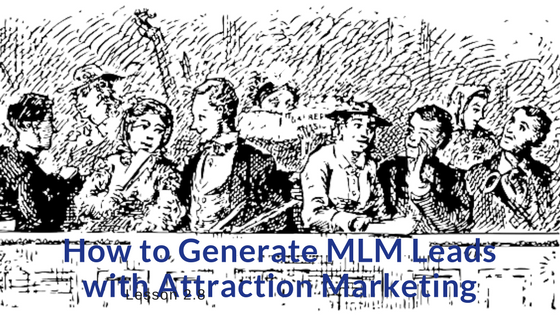 What did you think of these ways to generate MLM leads using attraction marketing? Fun stuff and much more effective too! Attraction marketing has been around for a long time. Instead of being a salesman, be a person who provides value to the marketplace. 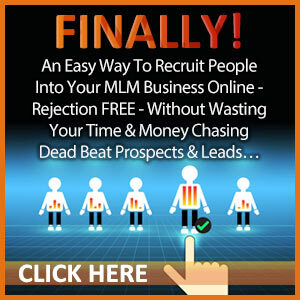 For more information about generating leads and building your MLM business, click here.